The 2007 Academy Awards featured a stacked lineup of spectacular films. It featured some of the most respected names in the business getting handed gold trophies, like the Coen brothers, Daniel Day-Lewis, and Tilda Swinton. It did not feature Zodiac, David Fincher’s dark view into the obsessive search for the infamous serial killer. But it probably should’ve. It’s not hard to see why Zodiac wasn’t beloved when it came out. Here’s the director of Se7en, an endlessly watchable serial killer movie, returning twelve years later to make a thriller about another real-life serial killer, except it feels vastly different from his previous work. 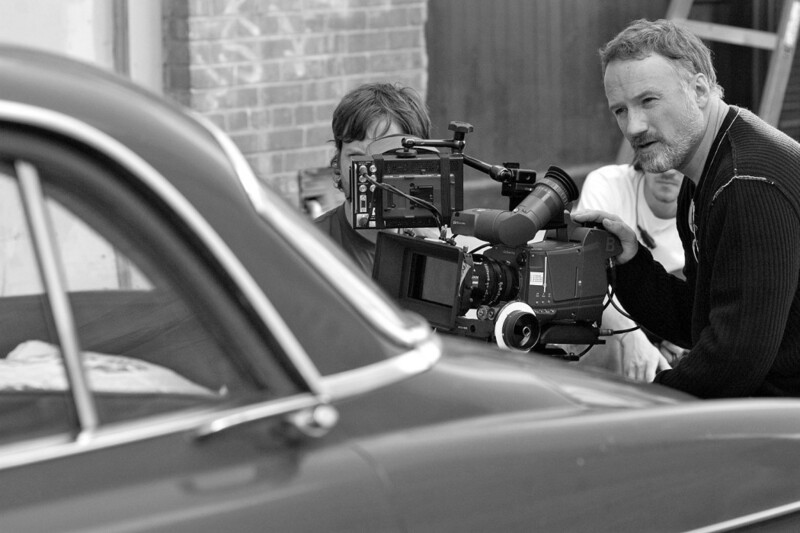 Fincher doesn’t lean on any of his past successes as a filmmaker too heavily in Zodiac. All of the violence happens in the first 20 or so minutes, and then we settle into a methodical procedural that — if I’m being honest — is an equally frustrating and fascinating journey the first time you watch it. If you see it again, you begin to realize how mesmerizing the painstaking details of Zodiac become. This is a testament to the mood Fincher creates, where the film’s pace never gets away from him. There’s very little (if any) of the car chases, shootouts, and lengthy monologues about justice and evil that you come to expect from a crime thriller. Similarly, Fincher’s visuals are deliberately drab compared to his other work, before and after. 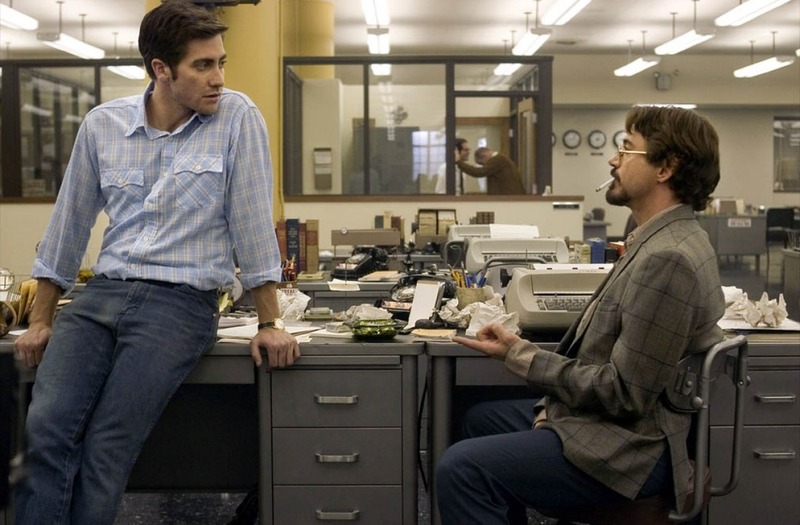 Zodiac doesn’t have the sleek and polished look of Fight Club or The Social Network. The color palette is muted, which fits the gritty police halls and newsrooms of the 1970s, as well as the ambiguous nature of the story. Fincher did, however, put some polished talent on the screen. Fresh off Brokeback Mountain, Jake Gyllenhaal had proven himself as a young, Academy-respected actor. He plays Robert Graysmith, the central figure over the last half of the film, who becomes totally enveloped in unhooding the Zodiac killer. Robert Downey Jr. wasn’t quite a Hollywood leading man yet (this was pre-Iron Man), but is utterly captivating as reporter Paul Avery. Finally, Mark Ruffalo puts in a workmanlike performance as police Inspector David Toschi. Ruffalo’s best roles would arrive a few years down the line. Although all three have probably been better in other films, they’re tremendous here. Gyllenhaal is striking in his innocence (Aqua Velva, anyone?) , Downey is typically charismatic and electric, and Ruffalo is solid as an oak. With the three of them so well cast, Zodiac is elevated to heights it wouldn’t have otherwise reached. And yet, it was no crowdpleaser. Audiences met it with lukewarm reactions. It made just over $33 million domestically on a $65 million budget, 2007’s 81st highest-grossing movie. Again, this isn’t overly surprising considering this is a steady hunt for a serial killer with no definitive payoff. Zodiac is certainly slow, but it continually draws you in closer, even as it becomes clear we aren’t going to get a crispy realization. That’s the crux of it, really. Zodiac is an ambiguous work about the ruinous power of obsession made by a director who is known for his attention to detail and rigorous methods. Fincher is infamous for demanding an endless number of takes, breaking down actors until he gets exactly what he wants (apparently he drove Downey Jr. to store his urine in jars on set). It’s not inconceivable to think Fincher felt a kind of kinship with the figures who were driven to find the Zodiac killer. I was thinking the other day about why Zodiac intrigues me so much even though we never learn the identity of the killer. Maybe it’s because it was created by someone who lives and breathes the kind of obsession shown on screen that the payoff becomes almost irrelevant.